Mobile App Monetization OR UI Design: Conflicting priorities for Developer | iMOBDEV Technology Pvt. Ltd. Some professionals are confused by the two big terms which are, Mobile App Monetization and User Interface Design. Both the terms have their own value and impact on the businesses but when and how to get the best of it, is explained. The Mobile App Monetization is the best choice for the firms which have a plan to deploy their mobile applications. Mobile applications have become the key to success of any business with a rapid growth. Considering their share in the marketplace for revenue generation, it has also become the wave of the future as well. Each app development company and the entrepreneur and the target can be easily gained with the Mobile App Monetization Strategies. In the competitive era, it takes a determination and fine execution of the app to get a good revenue. The experts say that both the terms have an influence on the active users. Mobile App Monetization is a goal or objective of application developed and the UI design is the factor which you use to reach out there. The UI designs play a crucial role for building an impression of your business with the direct users. If that goes wrong anyhow, users will not stay for a second and quickly move to the other options. Hence, the UI of your app is what makes it either useful or not. The design is not about how it looks it is all about how it works. An App Monetization comes to the picture as you have to share or exchange some information. This is an important strategy as you give the users some useful information or offer a service. In return, the users give you a value. Some experts put their vote equally for both the aspects, Mobile App Monetization and UI design as well. It is obvious that if you don’t have the great UI designs, users will not at all use your application. And on the other side, if your app has been gone through the User Interface design services and does not have an effective plan for monetization, then you will find it too hard to generate revenue. You might also like: UX and UI Design- Difference, Importance, How to Deliver Its Best? It is the most common question raised that, what should be a priority for the developer, An app monetization or a good UI design? The answers of this question are not straight forward and can not be generalized as which factor should be placed forward depends upon the kind of business model the company has acquired. Even the UI design services company can assist you by delivering the magnificent UI designs, if getting a good design is your business priority. Depending on the situation, the developer himself have to decide that which factor should be given priority and need to work more. In the case, the company is at the start-up stage, the good UI design is must and you can invest a good time in crafting the impressive one and after that think for the monetization. For the enterprise specific business solutions, your focus might be on the Mobile App Monetization Services first to make your own space in the market against the business rivals. In-App Advertising: In most cases, the app publishers don’t show their interest in this strategy. Actually, they just want to stay away from the cost barrier. In-app Advertising offers the best consumer experience as they are scaled to fit the mobile screen and boost the overall engagement. The apps can easily make money by selling their data-driven advertising space. Professionals collect a data of the good user base and the precise data is to be sold to the other app publishers place their advertisement in that space. By this way, app publishers can easily make money. In-App Purchases: The strategy is to restrict the free services. A concept of selling the services and goods within the app help companies to catch maximum profit. Users will never mind in paying the reasonable amount for the value added services. The main concept of this strategy is, you can utilize your app as a mobile storefront and have a good business. A variety of goods can be sold with this strategy. Freemium Business Model: This is the most popular strategy among all for the monetization. In this, the app is not absolutely free to use. Some features or modules are locked and can be unlocked with the real money. An initial access to the app is free. To access and take advantage of the premium features users have to pay the amount. A strategy is applicable mostly in the gaming applications as one time people get addicted to playing it, they easily pay an amount to have a great fun ahead. Subscriptions: A smart strategy to earn recurring revenue. Instead of the features, the specific amount of content is locked in the Paywalls. This is the most effective strategy for the service-focused applications. The applications impel users to sign-up to view more content. Absolutely Paid Apps: App is not available for free to use. Users pay the charge to install an application in the device. In the case user wants to use it, he must have to buy the app from the app store. This strategy can be applied only if your app consists the extra ordinary features which are completely different from the free applications available. The responsibility of App Marketing Team increases as they need to have strong marketing strategies to convince users for installing the app. You need to take a decision that which app monetizing model can load the maximum benefits for you. It is always the best way to invest in all the possible monetizing models. The statistics reveal that the Freemium model is the most effective for the applications launched in the Android and iOS platforms. When it comes to giving priority to one among the both terms, there is no generalized strategy. 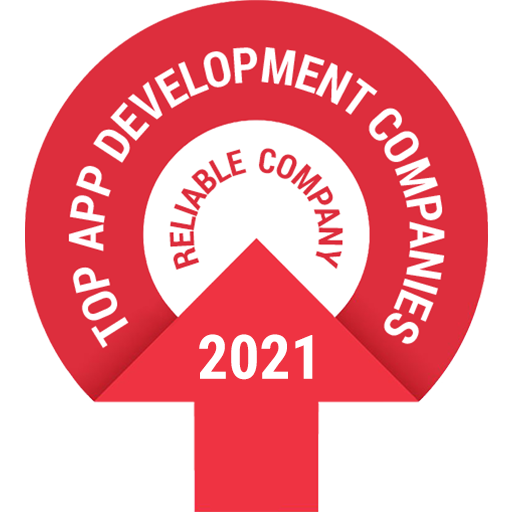 The priority for the developer may vary depending upon the type of business and specific time of the company or the app passing through. The strategy and priority can not be generalized as many other factors get involved supporting the right decision. Mr. Ravi is a senior Mobile application developer. As an mobile programmer, he has developed many mobile applications during his fantastic 5+ years in IT industry. Amazing user response to the apps, is a testament of his mastery in the mobile OSs.